If you’re like me, you’ve had at least one project that did not turn out anything like the beautiful picture you saw on Pinterest. After hours of planning, working, and DIY-ing, having a paint project look less-than-perfect can be infuriating. Even with the best of intentions, many DIY-ers have stumbled across these common mistakes when working with chalk paint. Learn from others mistakes so you can get the results you’re looking for. One of the most common mistakes people make is over-distressing your piece. 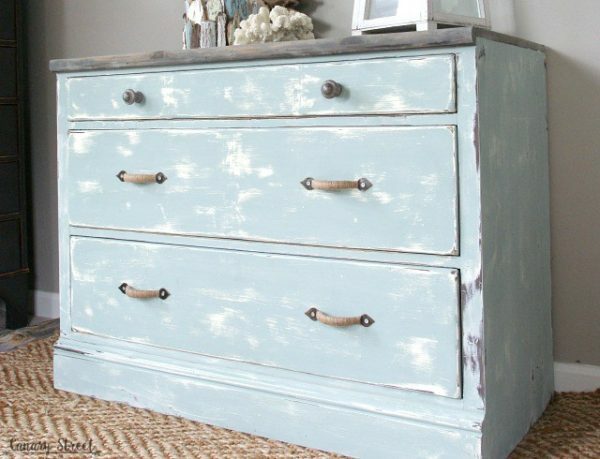 Chalk paint is designed to look older and rustic, but overdoing it makes it look messy and unfinished. The best way to distress a chalk piece is to run sandpaper over the edges and areas where there is a natural texture. Wax is like the forgotten sister of chalk paint, too many people get excited about chalk paint and completely forget about the wax. This is an important part of the process to seal the piece. You can use dark, light, or translucent chalk wax, but you must use a wax of some time. To prep or not-to-prep, that is the question. There are passionate painters on both sides of this issue. 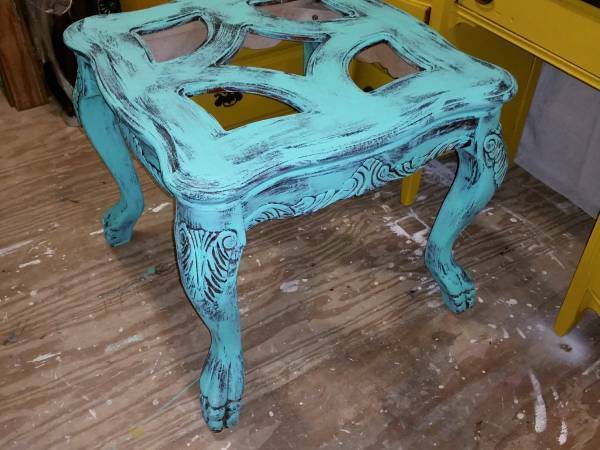 Some say that the beauty of chalk paint is that you don’t have to prep your piece at all! Others say that while you don’t HAVE to prep, it’s still recommended. The best thing to remember is that your bond is only as good as your base. No, you don’t have to strip off old paint or finishes, but if you have dents, scratches, and dings, they will show through chalk paint. If you’re going for a rustic finish, this might not be a big deal, but at least clean the surface first. We know that when you finally finish your project you’ll be super excited to show it off and put it to use, but resist the urge and let it sit. Paint may seem dry to the touch, but it should be left to “cure” for at least 3-5 days. If you use a piece of furniture before it’s adequately cured, it can lead to chipping and peeling paint almost immediately. 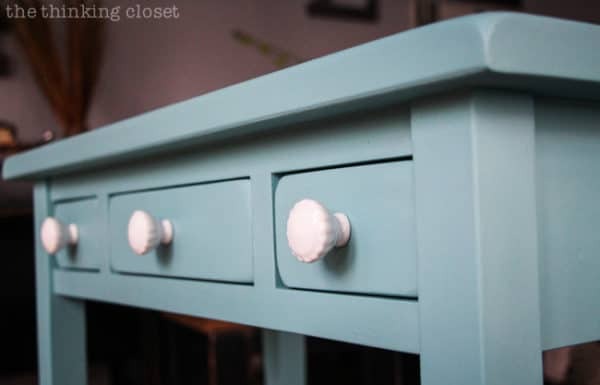 One of the benefits of chalk paint is that it is easy to work with and very forgiving, but it still requires a little patience and methodical application. A common issue with chalk paint is overloading the brush. Because the paint goes on easy and smooth, too many painters load up their brush with as much paint as they can and slap it on the piece. This might be a good way to avoid brush strokes, but it also creates paint drips that can be nearly impossible to remove. Instead, go for several thin coats instead of one thick one. This eliminates brush strokes, prohibits drips, and makes for a more durable finished product. If you are looking to buy chalkpaint and have found that your local store lacks in options check out this Rust-Oleum line of Chalked Paint it is a great brand, and comes in multiple colors and even spray paint options. 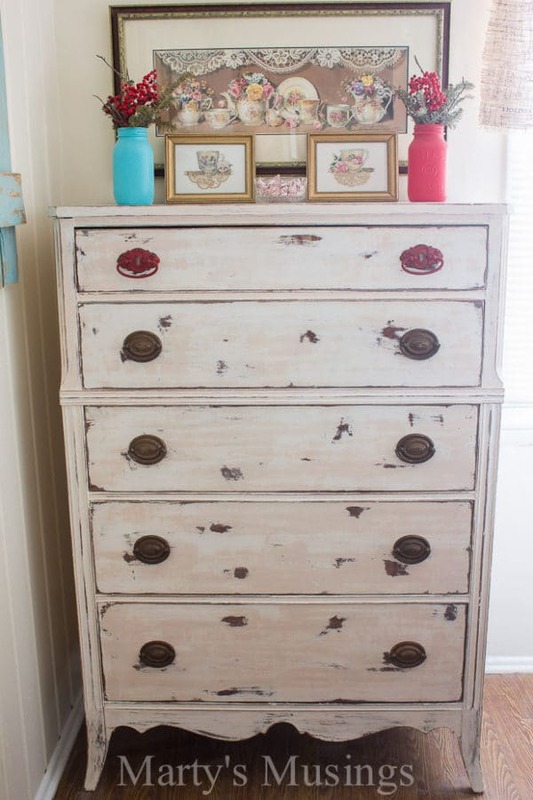 Not sure chalk paint is right for your project? 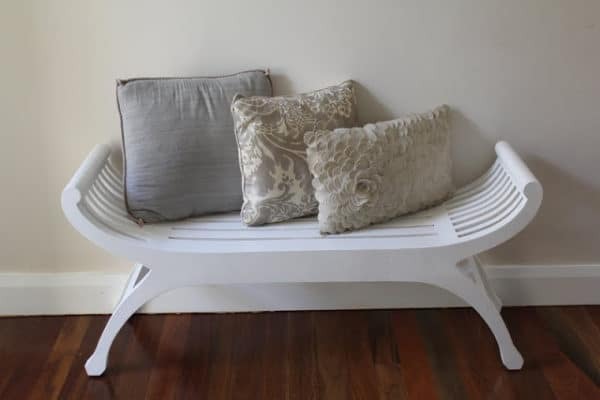 Learn more here: Chalk Paint vs Latex Paint on Furniture If you have any questions about chalk paint, please comment below! I hope those first 3 pics are examples of what not to do! I really like that you mentioned going for several thin coats of chalk paint instead of on one thick one. My wife and I are painting and decorating our kids’ rooms at the new house while they’re up at my parents’ house for a few weeks. She’d like to do chalk paint on one of the walls so the kids can draw on it, but neither of us has any experience with chalk paint. Thanks for the information-I’ll be sure to keep it in mind when the time comes to put it up on the wall!